“NCIS” (8 p.m., CBS): In “Hail & Farewell,” NCIS investigates the murder of a Marine Major believed to have been killed in the 9/11 attack on the Pentagon after human remains are discovered at a construction site. A personal history with the victim drives Gibbs to solve her crime. “MasterChef Junior” (8 p.m., Fox): The top 14 home cooks head to the great outdoors for a chicken cookout; 51 hungry campers at the Kids Camp MasterChef will decide which dish reigns supreme and the winning team’s recipe will be featured in Family Circle Magazine. The losing team will be faced with a coconut cream pie pressure test that proves to be not as “sweet” as it may seem. “The Voice” (8 p.m., NBC): After the first part of the cross battles, the artists learn if they will be moving forward in the competition. “Roswell, New Mexico” (9 p.m., The CW): When a major revelation comes to light, Max, Michael and Isobel clash over how to deal with the fallout. Elsewhere, Alex uncovers a secret about Project Shepard and enlists Kyle and Michael’s help looking into it. “New Amsterdam” (10 p.m., NBC): Reynolds struggles to help a young Cystic Fibrosis patient (guest star Lilly Knowles) with curious symptoms while Kapoor finally comes face to face with Ella (guest star Dierdre Friel) after their awkward encounter. Meanwhile, Sharpe takes a major step in her personal life. 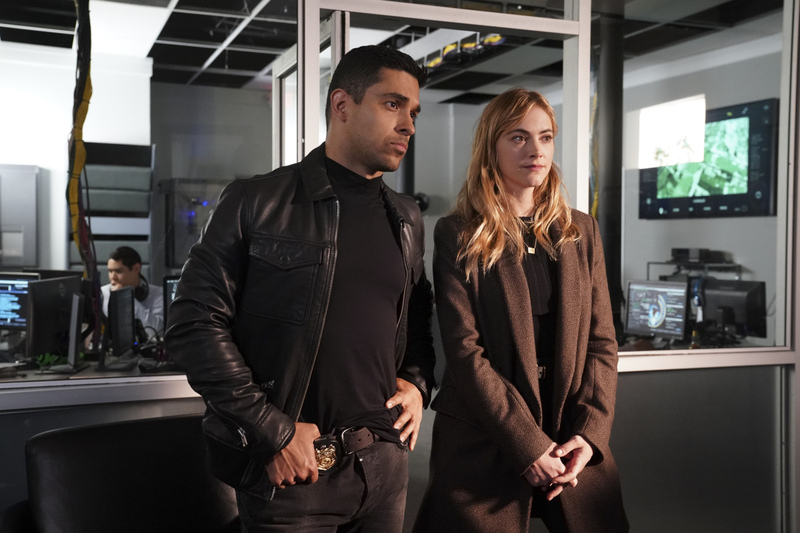 “The Rookie” (10 p.m., ABC): As the rookies prepare for a big exam to see who moves on to the next stage of training, Officer Nolan and Officer Bishop are called to the scene of a murder and learn that the victim may be tied to a potential terrorist attack on the city of Los Angeles. “There She Goes” (BritBox): David Tennant and Jessica Hynes star in this serio-comic look at the obstacles a family must address with a 9 year-old daughter whose disabilities present her parents and brother with a host of challenges. Based on the true-life experiences of the show’s writer and creator, Shaun Pye, the stories are inspired by his own daughter’s chromosomal disorder and borrow heavily from his family experiences.